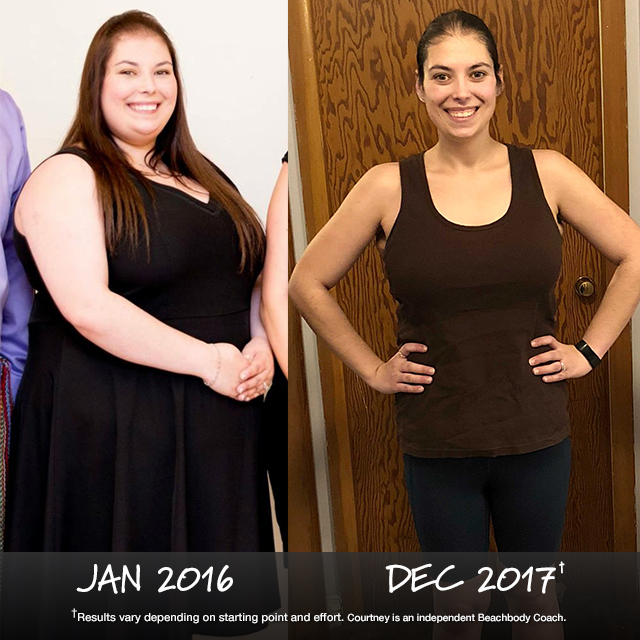 In the month of January 2018 alone, more than 3,000 satisfied customers submitted their inspirational transformation stories to the Beachbody Challenge, where healthy lifestyle changes are rewarded with prizes all year long. One of Courtney’s short-term life goals is to have kids and start a family. But, weighing in at 272 pounds, she came to the tough realization that she would have to focus on her health first to minimize the risk of complications. She got started with 21 Day Fix on Beachbody On Demand combined with Shakeology. Now, after two years, check out the results of her hard work! “I used multiple Beachbody programs on my journey, and I loved all of them. I started with 21 Day Fix and loved that the workouts were only 30 minutes, which wasn’t too intimidating to start with. I learned that exercise does not mean countless hours toiling away at the gym. There were so many options to choose from on Beachbody On Demand. Plus, the portion control containers really showed me what and how much I really should be eating. Overall, I’ve lost 132 pounds. That’s an entire person! Chrystal was morbidly obese when her doctor gave her a stark prognosis: lose weight or die young. 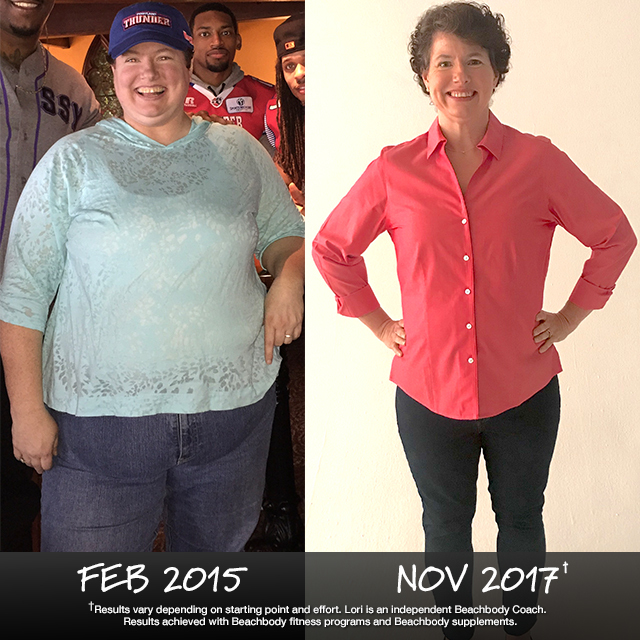 Shortly thereafter, she decided to fight for her health, and she dove headfirst into Beachbody’s system of fitness, nutrition, and support. 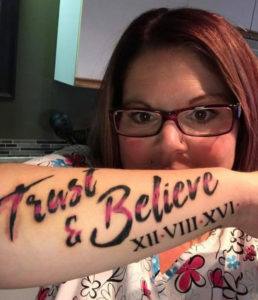 She stuck with it for a whole year and is proud to share her jaw-dropping results. She says: “I thought gastric bypass was my only hope to lose weight. But, I followed my heart and opted out of the surgery. 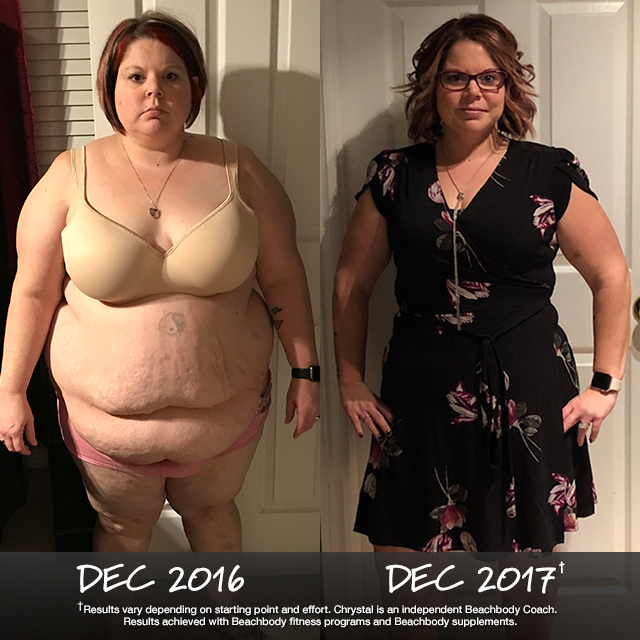 Together, my husband and I started Beachbody and never looked back. I have stuck to Beachbody one whole year and committed to absolutely every aspect. The [Portion Fix] containers, meal prep every Sunday, completing every fitness program I have started. And WOW!! The results are incredible. I have lost 101 pounds to date and 98 inches all over my body. Chrystal shows off her new “Trust & Believe” tattoo inspired by Beachbody Super Trainer Shaun T. The roman numerals (12/08/16) commemorate the day she got started on her fitness journey. 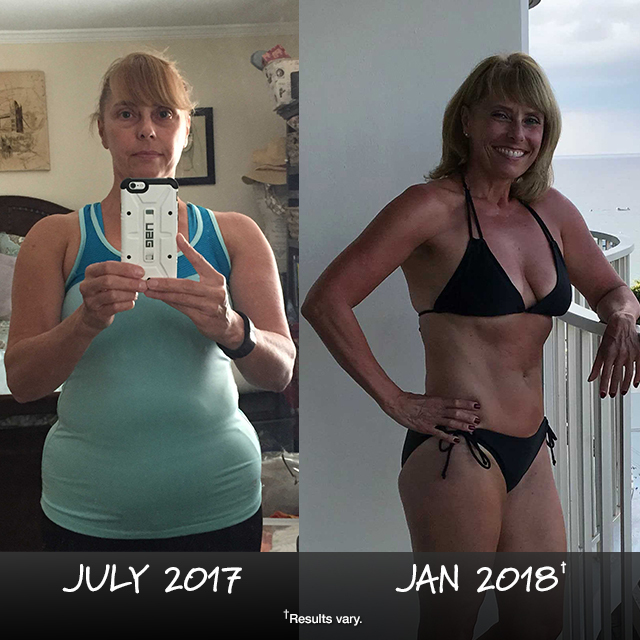 At age 43, Lori is absolutely beaming with positivity after sweating out the negativity in her life over the last 2.75 years with a variety of programs on Beachbody On Demand. She is proud to report this is the lightest and strongest she has been since she was 18! Low-impact PiYo workouts helped Julie get bikini-ready at age 55. She says: “I had a knee injury, and the doctor told me that my running days were over. The weight kept creeping on despite watching what I ate. I decided to try PiYo* as it was low impact and felt results almost immediately! I keep to eating clean, drinking water, and doing PiYo 7 days a week. [After six months,] I am very proud to show off my new abs! The last time I took pictures in a bikini was 20 years ago. *Always consult your physician about your unique medical condition before commencing any fitness or nutrition program.